Discovering gravitational waves is like flipping the universe from a silent movie into a talkie. TED: What Sound Does the Universe Make? 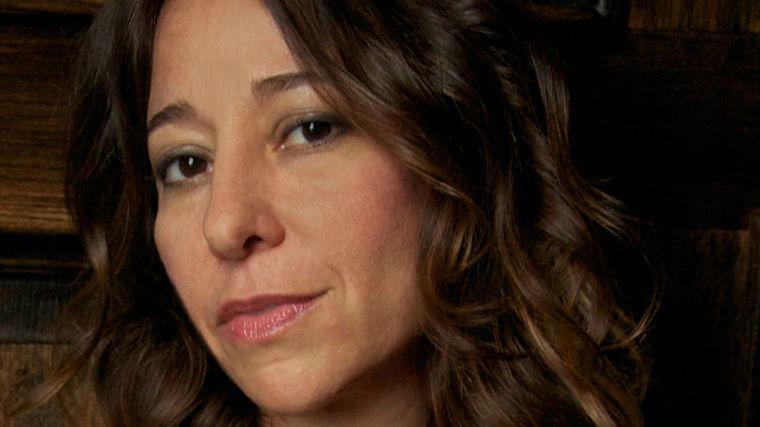 Janna Levin is changing the way we understand the cosmos. She brings originality, lucidity—and even poetry—to one of humanity’s oldest sciences. And in her book Black Hole Blues and Other Songs from Outer Space, she offers the authoritative story of the detection of gravitational waves: one of the most significant scientific discoveries of a generation. Janna Levin is a gifted author, cosmologist, and Guggenheim Fellow whose latest book, Black Hole Blues, named one of Kirkus’ best non-fiction books of 2016, provides a fascinating, firsthand history of the Nobel-Prize winning scientific pursuit to detect gravitational waves: the holy grail of modern cosmology, the soundtrack of the universe. “If what we witnessed before was a silent movie, Levin says, “gravitational waves turn our universe into a talkie.” On stage, Levin expands on her mind-bending yet concrete ideas: from black holes to creativity, to the union of art and science, she shows audiences just how far science has come—and where it’s headed. She re-opens long dormant questions about the nature of reality, and makes cutting edge science accessible to anyone willing to expand their mind. Her debut book, How the Universe Got Its Spots, fused geometry, topology, chaos and string theory to show how the pattern of hot and cold spots left over from the big bang may one day help reveal the true size and shape of the universe. Her next book, A Madman Dreams of Turing Machines, bridged fiction and nonfiction to tell a strange story of coded secrets, psychotic delusions, mathematical truth, and age-old lies. Most recently she hosted Black Hole Apocalypse, for a special episode of PBS’s Nova—the first female presenter of a Nova show in 35 years. Levin has worked at the Center for Particle Astrophysics (CfPA) at UC Berkeley, the Department of Applied Mathematics and Theoretical Physics (DAMTP) at Cambridge University and the Ruskin School of Fine Art and Drawing at Oxford University, where she won an award from the National Endowment for Science, Technology, and Arts. Levin holds a BA in Physics and Astronomy from Barnard College with a concentration in Philosophy, and a PhD from MIT in Physics. She was named a Guggenheim Fellow in 2012. In her new book Black Hole Blues and Other Songs from Outer Space, Levin offers the authoritative story of the headline-making discovery of gravitational waves—the soundtrack to astronomy’s silent movie. But why was this scientific campaign so significant? And what does it mean for the sciences—and humanity—in general? In this absorbing keynote, Levin explains the significance, beauty, and human story at the center of this fifty-year endeavor—bringing originality and lucidity to one of the discoveries of our age. In this talk, Janna Levin illuminates the mysteries of the universe, taking audiences on a witty, intriguing, and epic tour through new discoveries in modern cosmology. From some of humankind’s basic questions—What else is out there? How did the universe begin?—to this decade’s big scientific breakthroughs to a preview of what’s next, Levin, a cosmologist and Guggenheim Fellow, makes clear sense of a fascinating but often befuddling topic. How has our understanding of the cosmos changed from when we first set out to look at the stars? What does this new knowledge mean for us? With storytelling panache, Levin (who is also a novelist!) takes us to literally the highest reaches of science, but grounds her talk in a relatable tale about humanity and discovery. Insurmountable limits can beget exhilarating outbursts of creativity. There is a fundamental limit in the speed of light. Constrained by this limit, Einstein discovered the relativity of space/time and launched the discovery of black holes and the big bang. There is a fundamental limit to Mathematics—there are facts even among numbers that we will never know are true or false. Constrained by this limit, the brilliant code breaker Alan Turing invented the computer and dreamed of artificial intelligence. There is a fundamental limit to certainty in any measurement. Constrained by this limit, Heisenberg, Bohr, Einstein and others discovered quantum mechanics and posed a challenge to conventional ideas of reality. Limits can be worthy adversaries that bring out our best, most inventive, most agile natures. Surrendering to constraints can inspire great gestures of creativity and moments of discovery that change us forever. For more than half a century, there has been a chasm between the arts and the sciences—creating a gulf that has hindered the growth of both sides. Janna Levin’s work as an award-winning author of literary fiction, a Fellow at the Ruskin School of Fine Art and Drawing in Oxford, and a professor of Physics and Astronomy at Barnard College, Columbia University exemplifies a growing movement deemed “The Third Culture.” In this talk, Levin discusses the crossover between the arts and the sciences, sharing stunning examples—such as a Brooklyn collective of artists, designers, roboticists, engineers, and biologists—of a new intellectual culture being born. Janna Levin: Are There Some Theories We Will Never Understand? Science Speaker Janna Levin at The Moth: Is The Universe Infinite?